Introducing TEAM GOLD - a new series that I have been developing over the past year and a half. This series will involve Olympic gold medal winning athletes from the United States and I am currently traveling around the country photographing them. 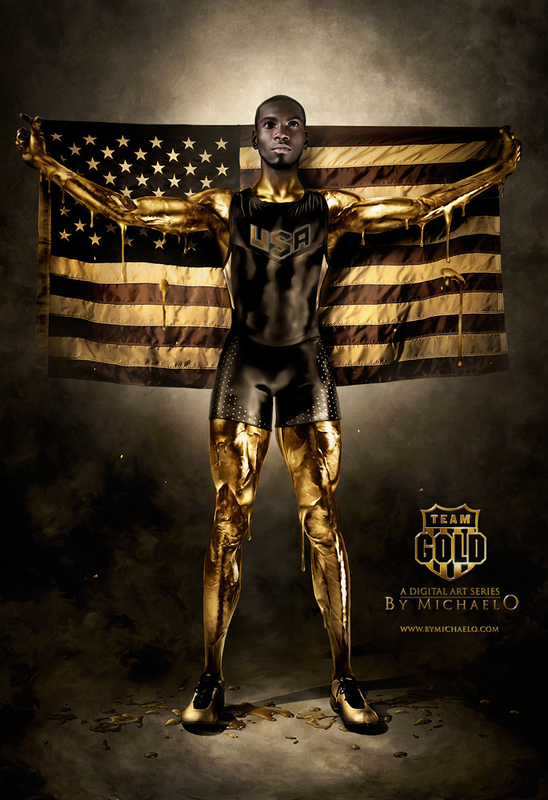 I am happy to see this series get off the ground with an image featuring my friend, World Champion and Olympic Gold Medalist Kerron Clement. I had 3 photo shoots prior to starting this series which helped me build the right foundation in the camera in order to optimize the digital gold effect. Shooting with flashes is worth the investment and the time it takes to learn. The gold effect is done using an inverted curve and about 10 hours of detailing.